Ever dreamed of leaving your mountain of homework behind and jetting off to an awesome getaway paradise but didn’t think you had the funds? Look no further. We’ve got you covered with cheap airfare to amazing locales. Break out your suitcase and give yourself some hard-earned time off before finals. These destinations offer cheap airfare even college students can afford. Avoid booking flights for Fridays or Sundays at all costs. No pun intended. Weekend travel fever drives ticket prices way up. To make the most of your hard-earned trip, try to buy your flights on Tuesday afternoons for ultimate savings. For the cheapest prices, aim to book your flights a couple months in advance for domestic vacays. If you’re taking it international, shoot for booking five months before takeoff. Once you land in one of these dreamy spots the strategic planning will be worth it. Honestly, is there any better way to de-stress from your 10-page poli sci paper than with a beachside ice-cold cocktail? 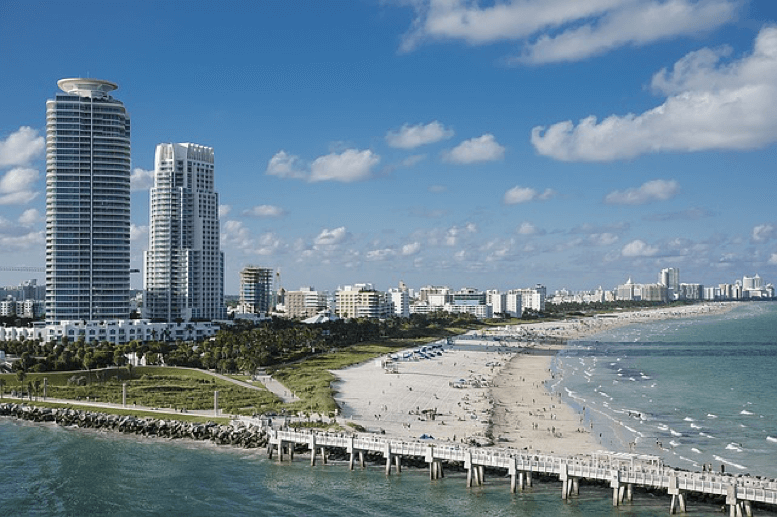 Miami is always a cheap getaway for college students. Make Sheryl Crow proud and soak up that Miami sun. Let the sound of the waves erase any memory of your professor’s gruelingly boring Monday morning lectures. Weekend roundtrip tickets out of New York City are available for less than $250, according to Expedia. If you’re leaving from another city, like Chicago, roundtrip flights with Frontier Airlines go for as little as $100 for a three-day trip. Temple University senior Lauren Arnold said she’d definitely recommend a Miami trip after visiting last spring break. She said the city has tons of clubs and bar tours including some that offer killer deals like $70 open bars that go all night. “The city is immersed in Latin/Cuban culture and it was fun to experience that aspect,” Arnold said. “Everyone should try Cuban food there! It was so amazing. The family-owned restaurants are the best, obviously.” Don’t miss out on Cuban places like Islas Canarias, La Carreta and Versailles. Swap in that dining hall slop for some authentic barbecue. 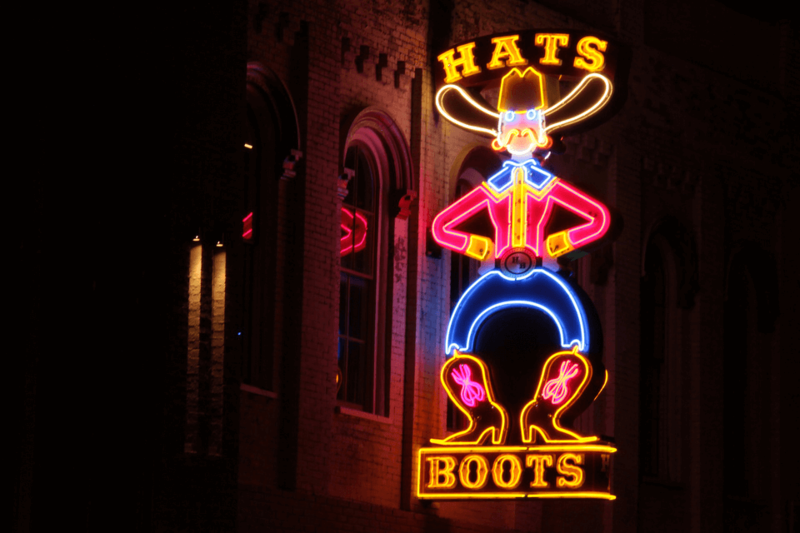 Then go dance your heart out to some of Nashville’s finest country music. Or head to the epic neighborhood known as “The District,” the city’s hotspot for clubs and bars. Broaden your alcohol horizons from warm, cheap frat-house party beer and sample some of Tennessee’s state-made whiskeys. Your taste buds say thanks in advance. Roundtrip flights leaving JFK go for as little as $250, according to KAYAK, while cheap airfare leaving other cities like Denver even dip below $200. Temple University junior Laura Hutson said you don’t have to be a die-hard country fan to enjoy Nashville’s music scene. “I really loved going to the Country Music Hall of Fame. It was so awesome to see so many historical things when it comes to country music to the roots of music in general,” she said. “Not only does Nashville offer the historical aspect in music, but the city itself is beautiful.” Temple sophomore Hadiyah Weaver also recommended spending time in Nashville. She said the city has a great shopping scene, like the Opry Mills Mall. “It was huge! There were so many of our favorite places to shop in there,” the Tennessee native said. French, Spanish and African heritages influence this lively city, so even if you go back to campus feeling hungover, you can at least say you’re more cultured. 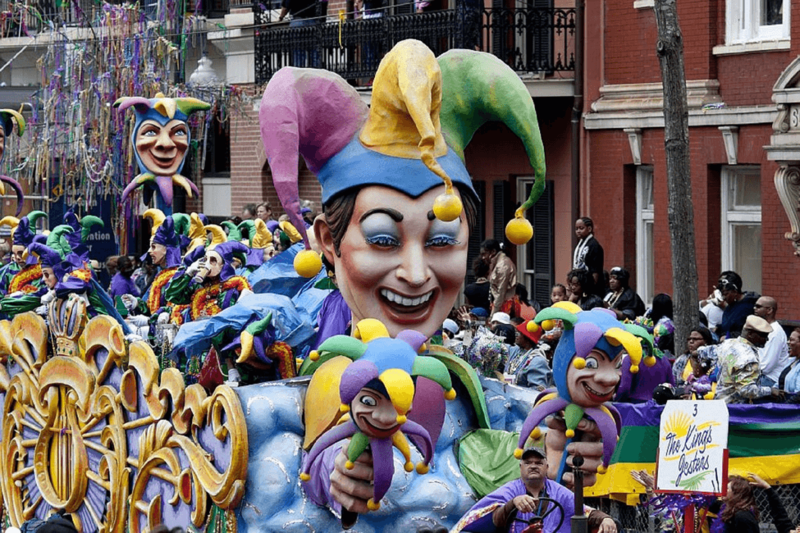 Check out Bourbon Street in the French Quarter for the novel experience of drinking legally in the streets, go on a swamp tour to spot and even hold alligators and stop in at Café du Monde for a powdered sugar smothered beignet. If you’re a horror fan, check out witchy locations like the Marie Laveau House of Voodoo Shop and the Lalaurie Mansion, an alleged real-life haunted house that went up in flames in 1834. The mansion’s story was even used in American Horror Story’s third season. Hello hipster paradise! This city literally prides itself on being weird AF. The friendly Pacific Northwesterners will get you out of your mid-semester funk in no time. 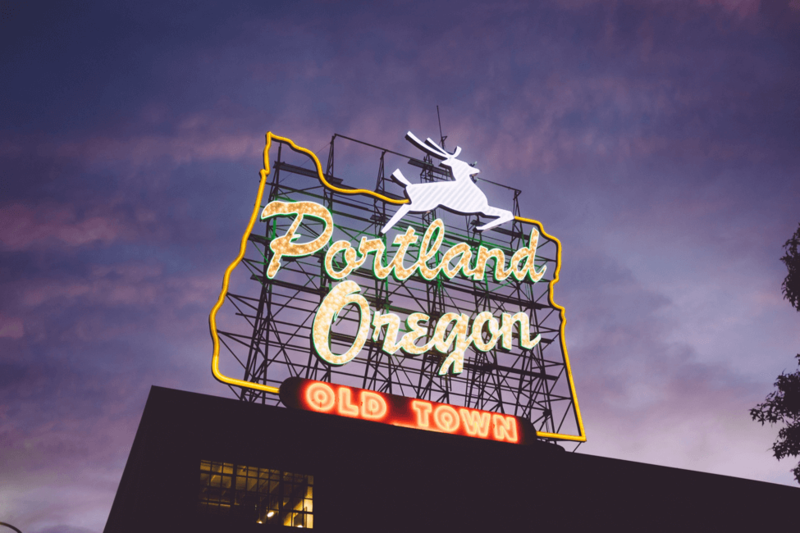 Portland rocks awesome food and music scenes. Sure, you’re even broker now that you bought a getaway flight, but have no fear. You’ll find hundreds of cheap and banging food truck options in the downtown area. Portland’s super bike friendly layout means you can work off those food truck calories, and you won’t empty out your wallet on Ubers. Rinse your mouth of cheap college beer (Keystone Light, anyone?) and treat yourself to a concoction at one of the city’s 124 craft breweries. Roundtrip flights out of New York City are offered around $250 on Expedia. If you’re lucky enough to live a little closer to this west coast haven, like Los Angeles, you can snag cheap airfare for $140 deals, according to Danielle Dougan, public relations manager at StudentUniverse, a travel booking site for students. Don’t forget to catch up on Portlandia before takeoff. 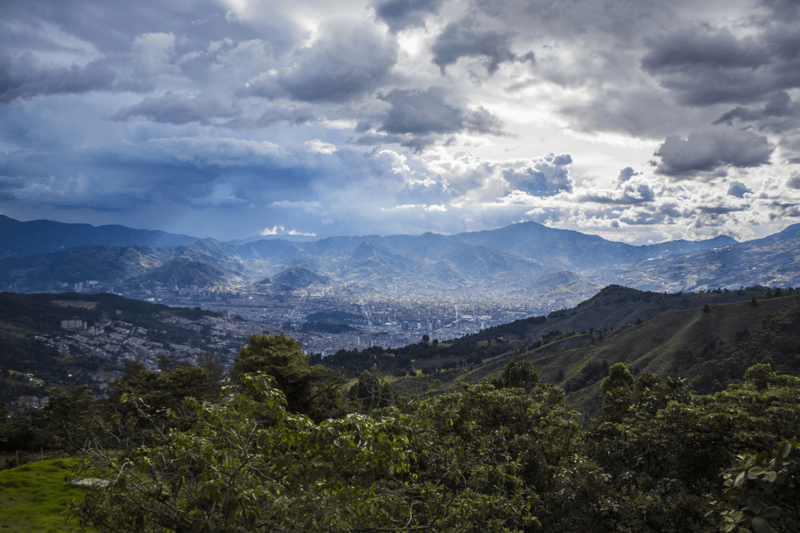 If you feel like you need a pick-me-up, the cure awaits in Colombia. Medellín offers cheap airfare in the form of roundtrip tickets from NYC for less than $400 available on Expedia, making it a cheap airfare haven. It’s also an actual paradise. Known as “The City of Eternal Spring,” Medellín’s year-round temperate climate makes it a great destination no matter the season. Local food staples like empanadas, cheese dough-balls called buñuelos and Bandeja Paisa are out of this world. Satisfy your college caffeine addiction with a cup of hot Colombian coffee. Medellín has a huge backpacking culture, so you’ll find plenty of other college-aged people to check out the city’s festivals, salsa classes and European style cafes. Jump back in time and experience the artsy 1950s vibes of Havana. Stroll through Old Havana and get lost in the 16th-century architecture before ending up at seafront promenade Malecón á la Fast and Furious. Sip some mojitos to sample Cuba’s world-famous rum, check out the country’s extensive art museums and learn about the deep history of Central Havana. 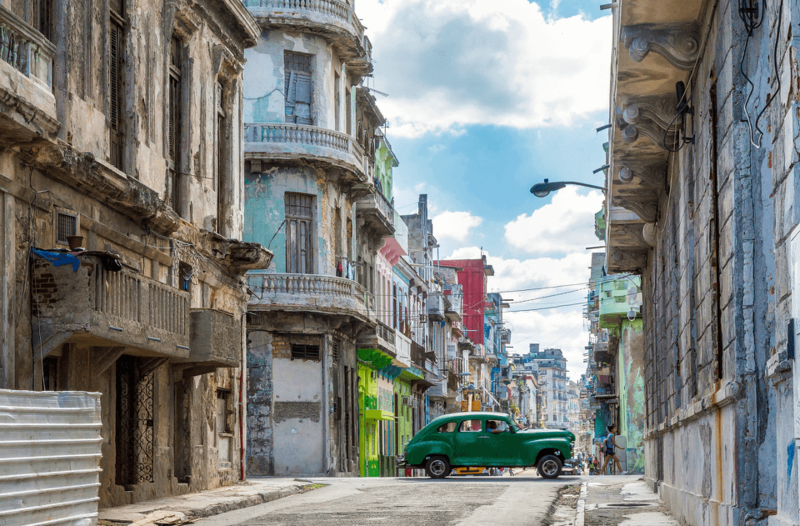 Former President Obama restored flights to Cuba from the U.S. in 2016, giving you an opportunity for an off-the-beaten-path adventure. Travel restrictions still apply, but you can access the country for “educational activities” including attending local lectures, going on walking tours and taking cooking classes with the locals. Flights are available roundtrip out of NYC for only $225. Pro Tip: If you’re looking for a last minute Christmas cheap airfare, roundtrip holiday flights to Havana are still going for less than $400, according to travel fare website Skyscanner. The Northern Lights IRL will look so much better than on Instagram. “Every waterfall you’d see was more beautiful than the last one,” Michelle McNeice, Vice President of Marketing at EF Ultimate Break. EF offers affordable all-inclusive travel packages for college students. “Then you have these black lava fields and this gorgeous green grass. The scenes are like something out of a movie. It’s overwhelming.” Ithaca College alumna Denise O’Leary studied abroad in Iceland her junior year. “My favorite thing… was go on hikes and walks throughout the country,” O’Leary said. 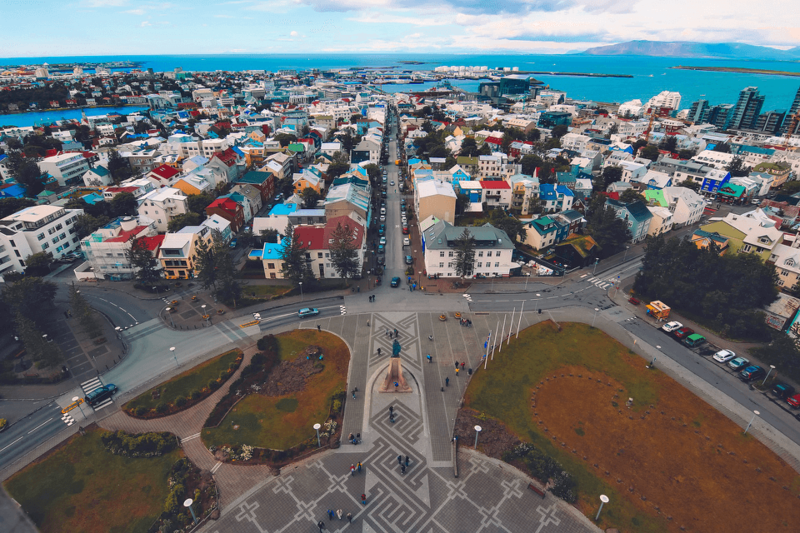 “We learned about the settlers’ history while walking through the Phingvellir and learned about geology on the black sand beaches of Vík… It was exciting to learn about some of the coolest environments the earth has to offer.” She added the locals are incredibly welcoming. Make some new friends while exploring Trinity College and its jaw-dropping library. Hey, maybe you’ll run into Jack Gleeson, who attended Trinity before his Game of Thrones days. Visit the Guinness Storehouse to learn how to pour the perfect pint. Bonus: If you’re under 21, you’re in luck—the drinking age is only 18. Then tour the Dublin Castle before sprawling out in St. Stephen’s Green. 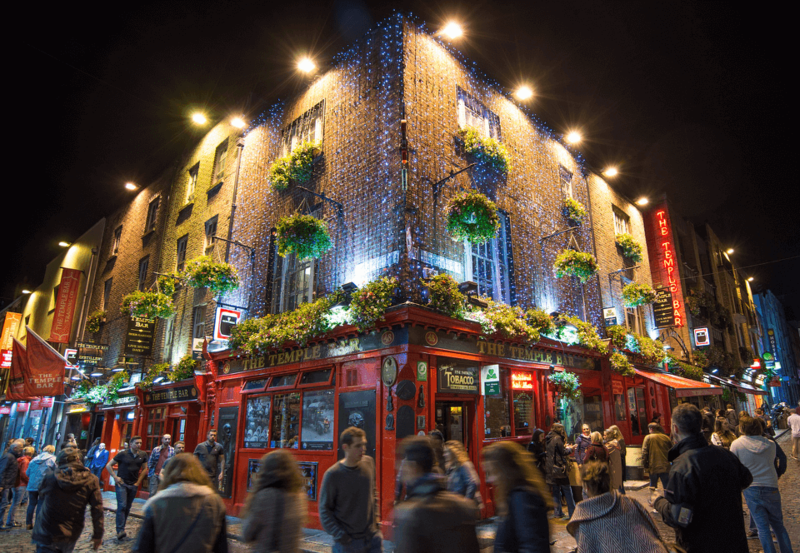 At night, take to the pubs in the city center. Don’t forget to revel at how quickly the Irish will surpass your beer drinking record. Ever dreamed of touring architectural masterpieces by day and taking flaming shots while dancing the night away in some of the world’s best clubs? Feast on tapas and paella made with authentic Moroccan spices. 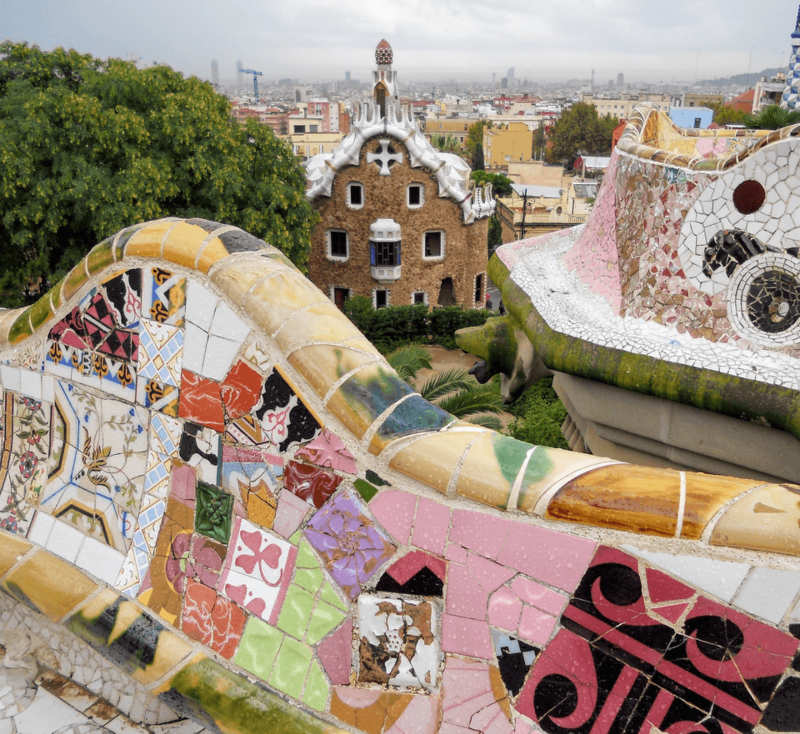 Fall in love with Antoní Gaudi’s breathtaking work at the Sagrada Familia, Park Güell or La Pedrera. Show everyone your trip photos and they’ll understand why you switched to an architecture major after your trip. Jump on a flight to Barcelona departing NYC for cheap airfare for less than $400 roundtrip, according to Dougan. You may spend your whole trip eating. The drool-worthy chocolate, beer, waffles and fries will chase any memory of vegetables right out of your head. 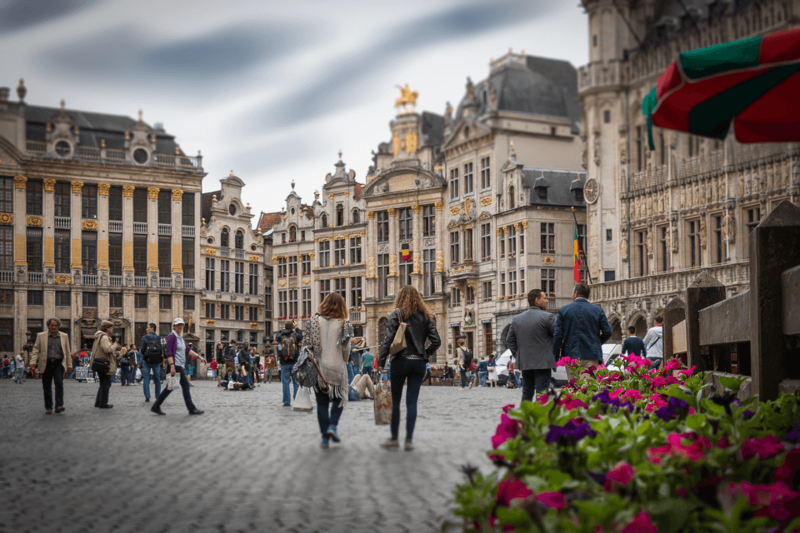 Stroll through Brussels’ Grand Place, make your friends at home jealous with Snapchats at the Atomium, or hop a cheap train to Belgium’s other awesome cities like Ghent and Bruges. Dougan said roundtrip flights out of New York go for less than $450. Step off the plane and walk right into the rich cultural history of one of the world’s most powerful ancient civilizations. 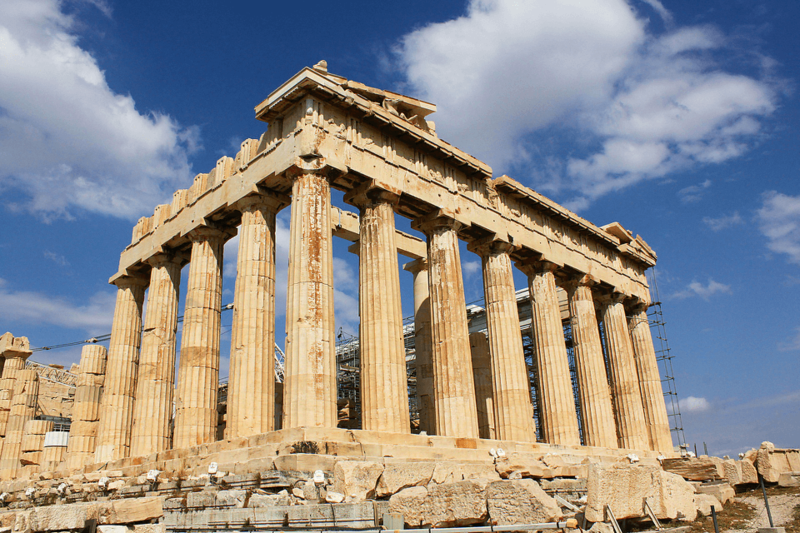 Get acquainted with the gods of Greek mythology at the Acropolis and the Parthenon. Stretch your legs by running a lap at an Olympic stadium constructed in the 4th century BC, then go fill up on mouthwatering Mediterranean cuisine. I promise the traditional gyros and dolmades (stuffed grape leaves) will beat the instant ramen you get in a care package. You can find roundtrip flights to Athens out of NYC during the first two weeks of March 2018 (Hello, Spring Break) for $433, according to StudentUniverse.